Dubai International (DXB) started 2017 with record monthly passenger traffic, consolidating its position as the world’s busiest international airport. 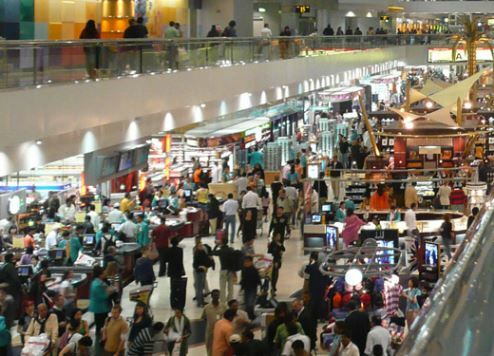 January throughput reached an all-time high of 8 million passengers, up 9.7 percent from 7.3 million in January 2016, a traffic report issued by operator Dubai Airports revealed. This follows DXB’s best-ever performance in 2016 with the airport welcoming 83.6 million passengers. “It’s an auspicious start to what is sure to be another record-breaking year for DXB,” said Paul Griffiths, CEO of Dubai Airports. Eastern Europe remained the fastest-expanding market in terms of percentage growth (+32.5 percent), followed by Asia (+26.4 per cent), South America (+18.6 percent) and Australasia (15.8 percent). In terms of passenger numbers, routes to the Indian subcontinent (1.88 million passengers) topped the list followed by Western Europe (1.7 million), and the GCC states (1.36 million). The top destination by passenger numbers was London with 338,816, followed by Doha (283,341), Kuwait (229,068) and Mumbai (223,399). Traffic from most regions increased during January due to holiday season, as well as the annual Dubai Shopping Festival. Flight movements totalled 36,592 in January 2017, up 2.1 percent compared to the 35,841 movements recorded in January 2016. The average number of passengers per movement increased to 230 compared to 215 during the same period last year. DXB freight volumes also registered gains during the month, totaling 208,271 – up 3.4 percent compared to 201,483 recorded in January 2016.